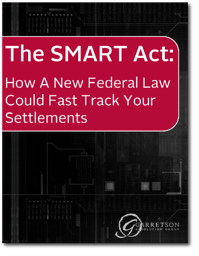 How does The SMART Act affect your settlements? Do you know how the Medicare reporting process will change? Is your firm prepared? President Obama signed the Strengthening Medicare and Repaying Taxpayers Act – the SMART Act – into law earlier this year, triggering broad ramifications for attorneys who handle liability claims. The law aims to shorten the time Medicare takes to calculate its reimbursement right for proceeds of a settlement, judgment, or damage award. But, it also implements firm timeframes for reporting anticipated settlements, and disputing Medicare’s reimbursement claims – which means firms will need a system to carefully monitor those timeframes. 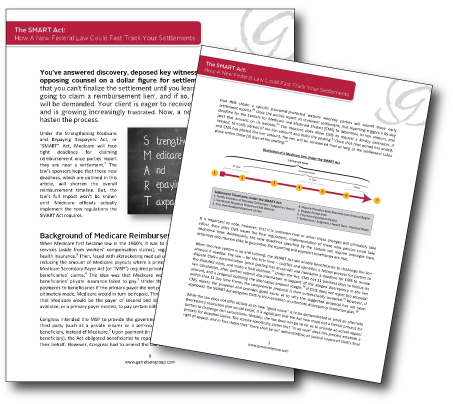 Find out how to stay ahead of the curve when it comes to the Medicare reimbursement process.